Xuan Banh Cuon (XBC) specialise in banh cuon. These are rice noodle crepes, delicate and almost translucent, lightly filled and rolled up. 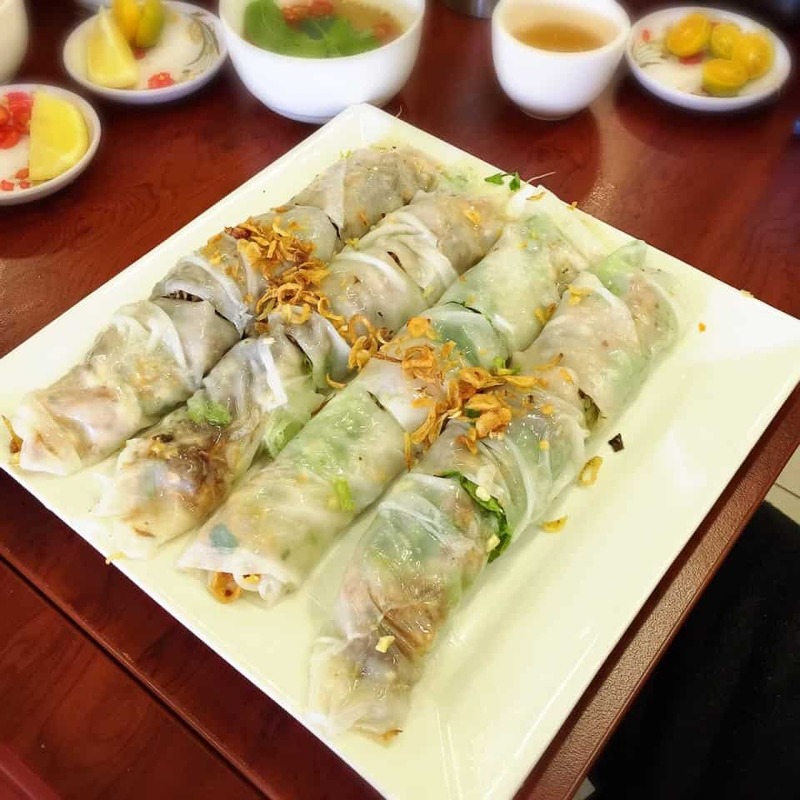 Banh Cuon is made in house the painstakingly traditional way, by cooking the thin, milk-white batter on fine mesh above a pot of simmering water. Each gossamer-thin wrap is sprinkled with a little pork mince, tiny prawns and diced mushroom, rolled up, stacked and sprinkled with savoury (fairy) floss and crisp fried shallots. 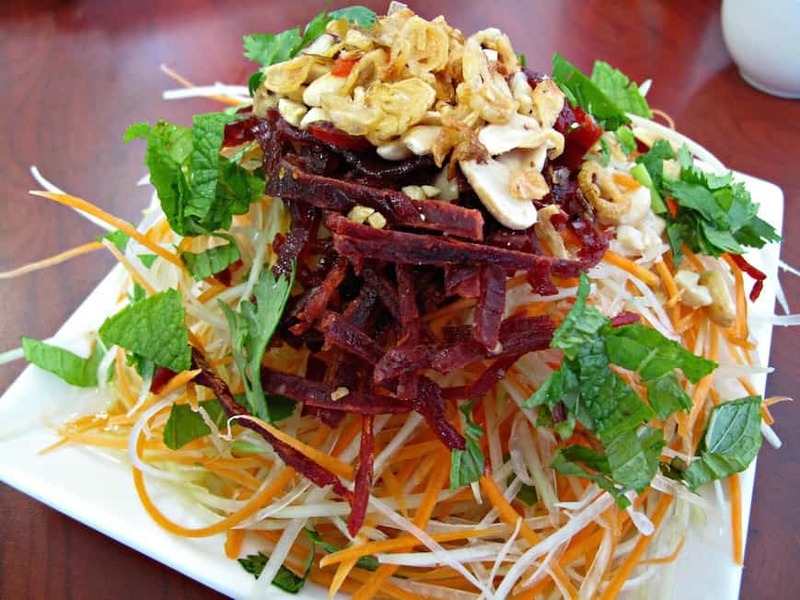 They’re served with seasoned fish sauce (multi-dimensional) and a pile of the crunchiest, freshest greens and herbs. XBC serve a small menu of northern Vietnamese classics. An example is bun ca with red rice noodles, a traditional northern soup with home-made fish cakes spiked with dill. It’s soothing, homely and delicious. The red rice noodles have an earthy, brown rice-y flavour that feels far more nourishing than the typical white rice pho-style noodles. Another example is bun thit nuong, chargrilled pork belly that floats to your table on a cloud of intoxicating sizzling charcoal scent. Use the supplied bowl to make your own DIY salad with vermicelli, herbs, bean sprouts and all that lovely chargrilled meat. XBC is a family run restaurant with Mama Xuân as Matriarch. Mama Xuân believes every customer is a guest in her house and food is served no different to if you were an honored guest at her home. 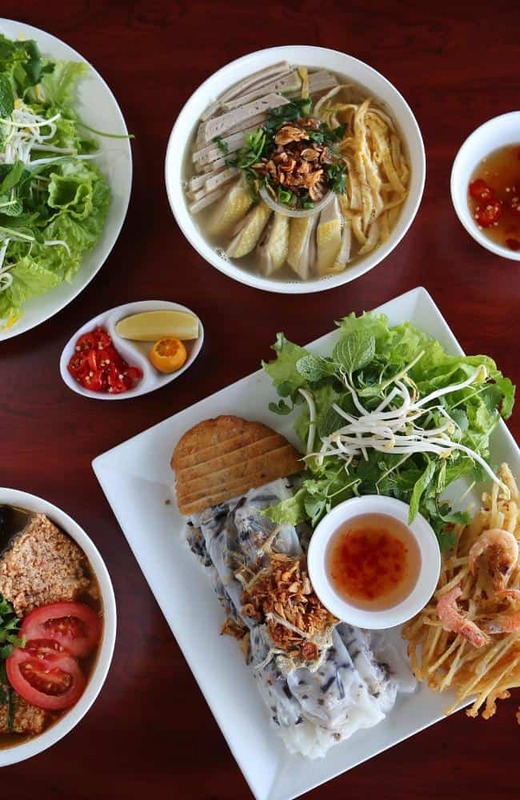 Mama Xuân is from Hai Phong, a major port city in northeastern Vietnam, across from Cat Ba Island and she is proud of their unique, regional dishes and keen to do “a few things well”.